If you have been invited to present a demonstration lesson, the school has high hopes for your candidacy. The demo lesson is essentially an audition for a teaching job. It is arguably the most challenging, but important, round in the teacher interview process. Various people from the school are setting aside time in their instructional day to see you in action! Make sure that you properly plan, prepare, manage the classroom, and effectively deliver instruction — to succeed to the next round. Jamie Truman is a former NYC public school teacher, Founding Director of Operations at a NYC community charter school, and a TFA alum. She has sat through more than a hundred demo lessons. Here are the tips she wishes all the candidates knew prior to their interviews! In your phone interview prep, we asked you to identify 2 - 3 of your teaching strengths. Make sure you highlight those through your teaching. Did you say that you excel at building a classroom community? Let’s see it in action - find intentional ways to connect with the students. Did you say you make awesome visuals? Make sure you bring some! Ground your lesson in the standards. Your lesson should be focused on 1 - 2 grade-appropriate CCLS. Do not list a bunch of standards - they all will not be covered sufficiently in a single lesson. You need to communicate that you lesson plan intentionally. Plan for a stand alone lesson. You may be tempted to the teacher what unit the students are studying. If your interviewer wanted you to teach a lesson in the current unit, they should specify that fact upfront. Do not get tripped up with what students may or may not know - each class will have a diversity of learners! Plan a stand alone lesson to ensure that the lesson reflects your strengths and introduces new material or strategies. Most demo lessons are a review. Candidates often feel that no new information can be communicated in 10 - 20 minutes. If you only review, you communicate a lack of urgency. Bring a text or strategy that will teach the students something that they did not know prior to the lesson. 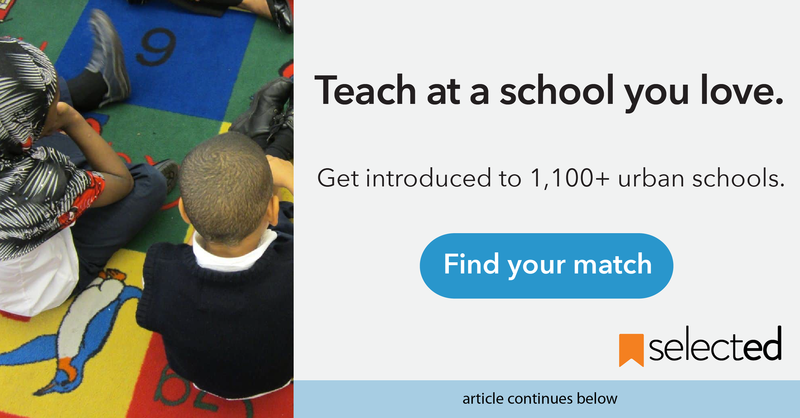 Build your lesson around a clear, measurable objective. Identify what the students will know and how they will showcase the learning. Have your objective posted and refer to it intentionally. You have been asked to present a lesson so your interviewers can see you create a rigorous and engaging lesson. Do not do an art project as your assessment, please. It will be rushed and will not teach new content. No, not even for Grade K. Research exemplary instruction for your age group, challenge and scaffold the student learning. (Yes, even if your lesson is 10 minutes!) Make sure you have an assessment that measures the mastery of your objective. If you will have students write responses, provide them with the materials to do so and collect it so that you know who mastered your objective. You can reflect on this in your follow-up conversation or email. It’s OK to ask the teacher for their silent signal, but if you rely on your observers to manage student behavior you communicate that you cannot manage your students. Spend the first minute outlining your expectations clearly and hold students accountable clearly and fairly during your lesson. Consider ways to develop a positive, joyful rapport. Showcase that you love teaching. Bring joy and energy. Reinforce your classroom norms positively (“I love the way Asa is sitting!”) rather than admonishing students you do not have a relationship with. Schools will not provide specific assessment data but you can expect that there are a range of learners. How do you support students with IEPs? ELLs? Ones that will breeze through the lesson? Highlight this differentiation in your lesson plan. Identify what can be prepared ahead of time. You prepared a clear objective and you should have it posted so you can refer to it for your assessment. Don’t take a minute to scribble it on the whiteboard - put it on the top of your chart. Likewise, if the students will define vocabulary words, have them pre-printed on a worksheet to minimize copying time. Consider ways to make your lesson delivery as efficient as possible. Every material you bring should support you and your students in mastering your objective. Do not just print out a worksheet from a workbook. Craft a document that will capture student learning and showcase mastery for your particular lesson. Measure time intentionally to stick to your time constraints. Set yourself up for success by bringing a timer or stopwatch to measure time. (As a general rule, classroom clocks are unreliable!) If you give the students 5 minutes to complete a worksheet, set your timer and call out a one minute warning. Keep pace and avoid surprises! Assume that you will walk into a classroom and immediately begin teaching. Have those materials handy. Do not take time away from your instruction to dig through your bag for a pen. Have extra pens in a bag in case you need to distribute. Hanging a chart? Bring tape - don’t expect your host teacher to dig through his desk. Want the students to annotate? Bring highlighters so everyone can follow along. Plan for a technology fail. Assume that your technology won’t get set up properly or will cut out half way through. Planning to give a Powerpoint? Have charts or handouts with key info. Expecting to have a document camera? Think through how to transition students to the rug to see the text instead. Intentionally plan for what is next. As you prepared a stand alone lesson, note subsequent lessons on the lesson plan or prepare for the question in a debrief conversation. Do not lament about the time challenge you faced for this lesson. It was done intentionally. Instead, make it clear what further instruction will entail. If you are able to have a debrief, quickly scan the assessments you collected so you can speak specifically about how your students mastered the objectives. Get introduced to the movement of mindfulness and explore how teachers and school leaders can use it to develop self-care strategies.